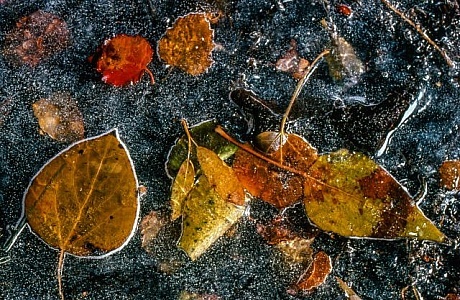 Frozen leaves on the surface of Intake II frozen lake near Bishop in California. 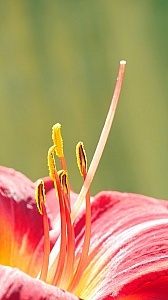 Red daylily flower parts macro during summer time in Rutgers Garden NJ USA. 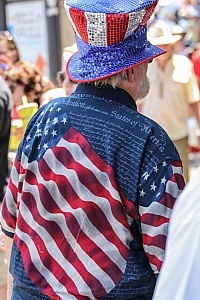 Man wearing a shirt with the constitution printed on it. With the American flag.